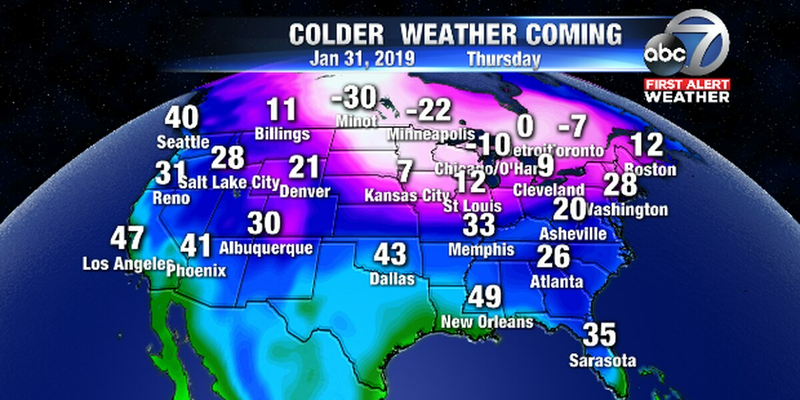 SARASOTA (WWSB) - The cold weather we saw Sunday and Monday is long gone as southeasterly winds have warmed things up along the Suncoast. Tuesday’s high was 79 degrees and could go even higher Wednesday as winds turn to the south. Skies will be partly cloudy with a high in the upper 70s near the coast and low 80s inland with winds out of the SE/S at 15-20 mph. This warm weather will be replaced by another shot of cold air which will blow in behind the cold front that moves through on Thursday morning. This front has the potential of bringing a few isolated thunderstorms which could turn strong to severe. 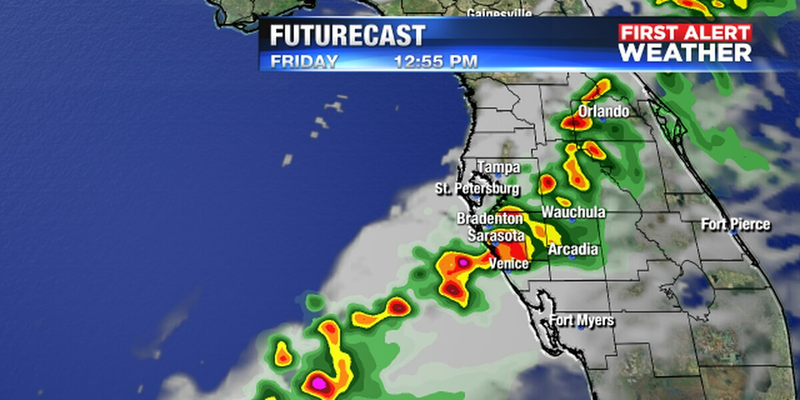 The timing of the stronger storms should be around sunrise through 10 a.m. Thursday. This front has a much better chance of bringing rainfall to the entire area. Rainfall totals should be around .5″ to 1.50″ with some higher amounts in some isolated areas. 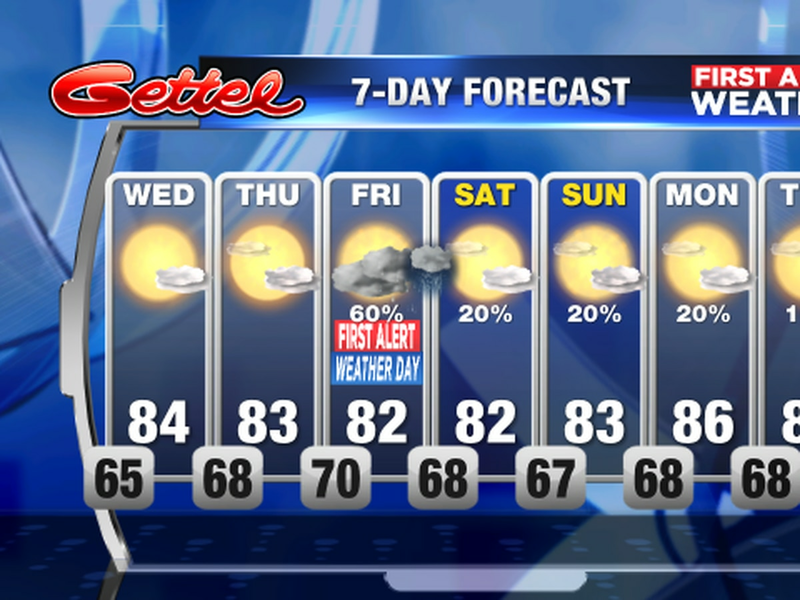 The rain should be out of the area by Noon on Thursday and then the cooler weather will move in. Highs on Friday are only expected in the low to mid 60s on Friday and lows will be mid 40s. This cooling trend will continue right through the weekend with the 70s not coming back until possibly Tuesday. This however may be short lived as the long range models are showing some of the coldest air of the season heading our way to wrap up the month of January. Right now the Euro forecast model is showing lows in the mid 30s by Thursday morning. So keep the jackets and sweaters ready as winter will be sticking around a while after the upper 70s to low 80s on Wednesday. 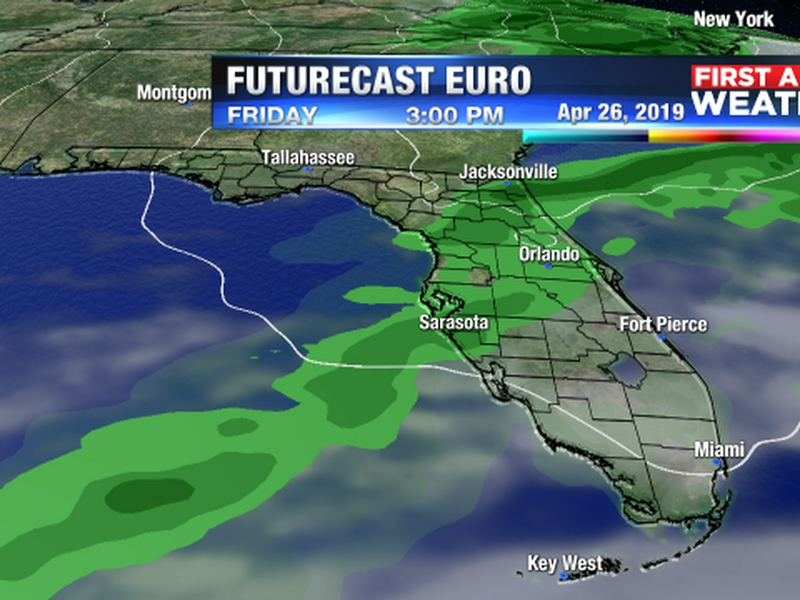 A cold front will sink south across the Suncoast today while the upper air support for strong storms lifts away to the northeast.